Home » Denmark Immigration » How to immigrate to Denmark? This entry was posted in Denmark Immigration and tagged Denmark Green card eligibility scheme Denmark Green card processing time Denmark Immigration Denmark immigration system Denmark residence visa How to immigrate to Denmark from India How to Migrate to Denmark on May 6, 2014 by Blog Author. Want to know how to immigrate to Denmark? Here is the answer. Denmark has rolled out to be one of the prosperous economies in Europe with its advanced technology and economical features. This Scandinavian country is a member of EU and maintains stable government with equitable social establishment. The country offers diverse schemes for different categories of candidates who are interested in Denmark immigration. If you are willing to Denmark immigration then it is necessary for you to have complete knowledge on Denmark immigration system. Qualified Residence in Denmark for a period of 5 years. A permanent residence program through Naturalization. Are you willing to immigrate to Denmark from India? 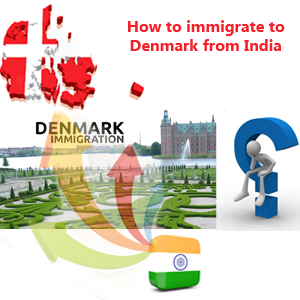 Do you want to know what process of Indian immigration to Denmark and what is the eligibility for Denmark immigration? Well, in this article we are providing you with the information required for How to immigrate to Denmark from India? 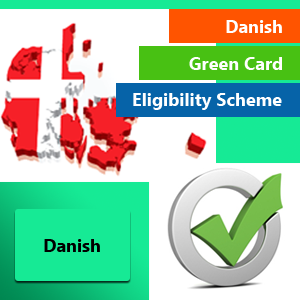 The process of Denmark migration is very simple if you meet the basic eligibility criteria. The following are the few educational qualifications required to the Indian immigration to Denmark. Should do his diploma of one /two /three/four years or polytechnic and college of technology. Diploma in engineering or certified in postgraduate. Must be a bachelor of 3 years in arts/science/commerce or bachelor of engineering (4 years). Master of degree, engineering, philosophy and in PhD. There are three Ways to obtain qualified Denmark residence visa. Among the above 3 ways, obtaining residence through Danish Green Card or Denmark Green card eligibility scheme is opted by most of the personals as it is more advantageous. The candidates who wish to be employed and settle down in Denmark can easily obtain this. To obtain this, the candidate should secure at least 100 marks in a point based assessment test. Denmark Green card doesn’t allow the candidate to establish or to run their own business in the country. The average Denmark Green card processing time is 16 days including the day of submission at VFS. The processing time will extend up to 8 weeks if the application is referred by the Danish Immigration service. DIS can extend Denmark Green card processing time if required. After successful screening of the candidature, they will be provided with Green card to migrate for a period of 3 months which should be renewed for 1 year followed by consequent renewal for 4 years. Want to immigrate to Denmark from India Please fill this Quick Enquiry Form one of our Denmark consultant will get back to you soon or follow us on Morevisas Facebook Page for more updates.